As a licensee, free your staff from bureaucratic hassles so they can do more for your business. Avoid fines and other expenses due to FCC license renewal, construction notification and rule compliance problems. From a basic review to make sure your licenses are in order, to total freedom from the headache of managing your licenses, you'll wonder how you managed without it. For wireless sales and service providers, utilize License Management to track customer or prospect call signs. Stay in the know on deadlines and actions needed with a license that provide an opportunity for you to touch base with customers and prospects about their systems and potential updates needed. Does your company rely on two-way radios for important communications? 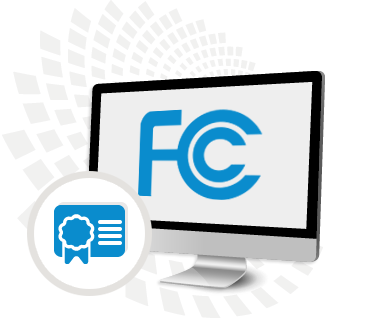 Are your FCC radio licenses up to date? Is there anything that needs attention? The Enterprise Wireless Alliance can help you to identify what licenses you have and make sure they’re current and are in compliance with the FCC rules. EWA can also protect and manage your valuable licenses, freeing you from bureaucratic and regulatory burden so you can concentrate on your business at hand. EWA offers three levels of license management services, each designed according to your needs. Keeping on top of ever-changing FCC regulations and mandates can be a full-time job. Don't ask one of your employees to try to keep up with the intricacies of licensing. Let the experts at EWA manage your company’s licenses while your internal personnel focus on your customers and business. Your best value and protection is Total License Management! Do mergers, acquisitions, staff turnover, or running your business day-to-day have you wondering how many FCC licenses your company has? Wondering if they'll be expiring soon? With the Basic License Review, EWA will conduct an inventory your assigned call signs and will produce a report for your use. Often, businesses do not optimize use of their radio systems because they’re not aware of the frequencies they have and the capabilities of that spectrum with the radios in use. If you haven’t kept up with FCC regulations and technology limitations, your licenses may not be in compliance or may not be meeting your needs. Your business could suffer, or worse, you may be subject to FCC enforcement action, including possibly monetary fines.